Thinking back your childhood, there's likely little routines you remember doing with your parents that you looked forward to on the regular (for me, it was singing certain songs and listening to the same stories before bed). "Repetition is an essential part of ingraining healthy messages in your children," Jim Taylor, PhD, who believes that rituals for kids may have long-lasting benefits. Mom and Superfashionable blogger Ananda Saba Patel agrees, saying, "I'm a true believer in routine for the kids and I think it really helps them to know what's going to happen and when. We eat at the same time, we take a bath at the same time and go to bed at the same time. They know when it's time for those things—and they expect it." Hands down, is one of the most common routines that parents use, and it can be one of the most memorable for kids (hey, I still remember mine). With that in mind, we decided to tap seven real moms to see the unique ways they do bedtime to bond with their little ones—and make it easier for all. 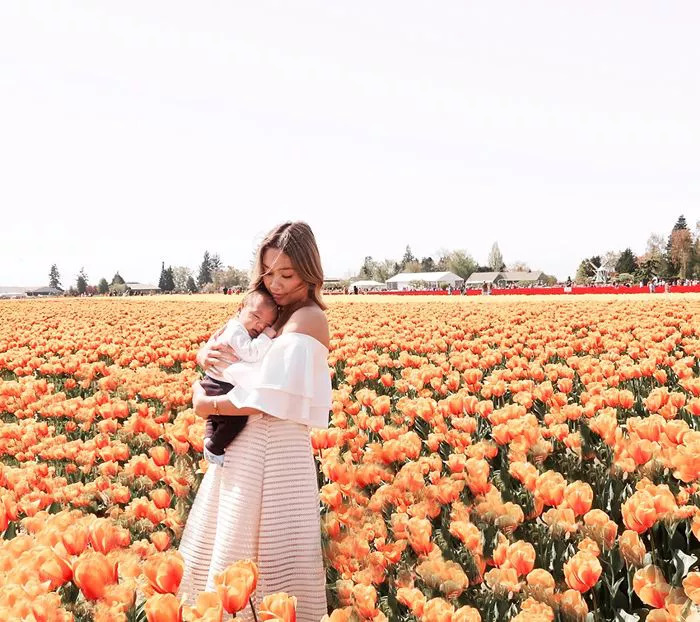 From tackling nighttime anxiety to staying on schedule while traveling to correcting past p.m. faux pas, these busy moms opened up about it all. Keep reading to see how they make bedtime work while making memories at the same time. "I was advised early on as a first-time mom that bedtime routines should be the 3 B's: bath, book, and bottle, and that's what I've stuck with! I usually draw a warm bath for Preston, then give him his sippy cup of milk so that he can enjoy it while I read him a bedtime story. He loves story time, and now that he's learning to talk, he points out the characters from the books I read him. By having this nighttime routine, it allows Preston to unwind and makes bedtime easier and faster. I've done this ever since he was born, and it's kind of our thing now. "With our first—my son—we didn't incorporate any routine, because we were so enthralled with the little guy we always wanted to snuggle with him until he fell asleep. Fast-forward several years later, and he still does not fall asleep without one of us by his side. With our daughter, we didn't want to make the same mistake. So now when it's bedtime, after feeding her, we just lay her in her crib with her favorite lovie, kiss her goodnight, and walk out. I have to make sure to not turn around and look at her or leave the door open because she will interpret that as playtime. "We have a bedtime route in that we go through the same process every night. But it's not some fairytale, dreamy setup. Even though we've been traveling for the past eight months, the one thing we're very strict on is putting Marlowe to bed between 8 and 9 p.m. each night. Depending on where we are, we might head out on the town after dinner or there might be a bit of documentary watching. But more times than not, Marlowe just wants to read a book to herself (she's past the age where she wants a storytime with her parents). "Our bedtime routine begins at 6:30—I add a drop of chamomile oil into their baths. Anything to calm my crazy kids down! After bathtime, Dom has a bottle of milk and Valentina a glass of milk while we all cuddle on the couch and watch a calmer cartoon on TV, usually Little Einsteins or Daniel Tiger's Neighborhood. Then, at 7:30 p.m., my husband takes Valentina into her room, and I take Dom into his. Valentina requires a little more work for bedtime. We have a book called that she just loves, so we usually read one story and then sing her a few songs, pray together, give her kisses, and that's it. These real moms' nighttime rituals for kids are so effective that it may be worth incorporating some into your child's bedtime routine. Have your own routine that you'd like to share? Drop us a line in our MyDomaine Moms Facebook community.